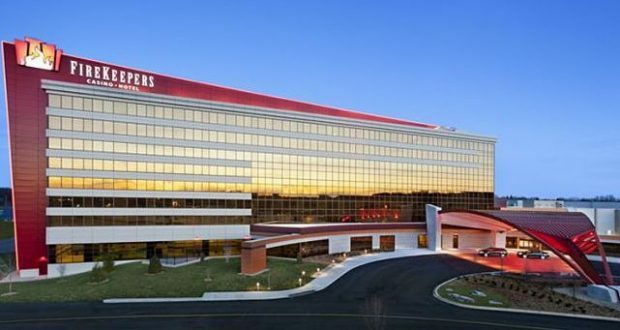 BATTLE CREEK, Mich.- FireKeepers Casino Hotel in southern Michigan plans to expand its hotel by building a second tower. The Nottawaseppi Huron Band of the Potawatomi announced Monday that an aim is to attract more people from across the Midwest to the casino and hotel near Battle Creek. They also hope to bring in new and larger conventions and business meetings. FireKeepers Casino Hotel opened its 243-room hotel tower in 2012. The tribe, which operates the casino, says occupancy at the hotel has exceeded 95 per cent for the last year. FireKeepers’ attractions include nearly 3,000 slot machines, 70 table games and a poker room.